I think I've drooled enough over the fact that Black Opal is now in Nigeria right? That's all I've been on about everywhere right after posting about the review of Black Opal's awesome skin products. This is a 2-in-1 post as I'll be reviewing each of the products I received and showing you how I use the products in the video below. True Color Concealing Foundation: packed like a concealer, this product is truly 2-in-1 as it covers and evens out complexion. I've never been a fan of cream foundations (perhaps that's why I never used the sticks) but this cream product glides onto my skin easy and matches perfectly...leaving my skin, looking like skin. Like all Black Opal products, I do believe it is oil based but my unique combination skin doesn't mind. I've also used this product for my under-eye area as well and the result is the same - smooth, flawless, invisible finish. It's also very economical as a little goes a long way so don't let the cute package fool you into using a lot of product. Spot & Scar Eraser: uhm, call me whatever you like but considering I've never really been a fan of spot concealing even when I had serious acne issues I use this product completely different from what I believe it's to be used for, lol (pls see video). While not using enough to confirm it's full coverage ability as it isn't supposed to be used on its own, I daresay it has the same smooth, flawless, invisible finish as the True Color Foundation. I'd definitely recommend this to those with problem skin and those who don't like to apply a lot of product as a little sure goes a long way. True Color Stick Foundation: the most popular of all the Black Opal products here in Nigeria. Every Nigerian makeup artist has used these products at one time or the other and while they work so well for our weather, they are so heavy and so oily. I have unique skin but shine like oil when I use this all over my face. Mr +Sam Fine swears by it and made us all go back to it too. Thankfully, the brand discovered the error of their ways and introduced the other products. Don't get me wrong, this product is 100% full coverage and matches African skin PERFECTLY but it is so heavy your face literally feels droopy after application. I found a way around it and so only use in my under-eye area now (the area under the eye is somewhat drier than the rest of the face so needs more moisture which this products provides well) and it stays put and doesn't crease all day long. Ultra Matte Fix: the most disappointing product of all. This is supposed to be a powder foundation but since I don't use powder foundations, I use it as a regular powder. It sets my under-eye area really well regardless of what product I use in that area. But this product breaks up easily thereby finishing quickly. I've already hit pan on it when all the other products I received at the same time as this are not even up to half yet. Invisible Oil Blocking Powder: this is a regular loose powder that's works great for setting cream product. I've never really used an oil blocking powder as I've no oil to block so this works just fine like other powders. I like it though 'cos unlike other translucent powders, it's off-white and not white which means the area you use it to set doesn't look garish. Deluxe Finishing Powder: this comes in light, medium and dark and was my hands-down everyday, all day go to powder in my makeup kit for the longest time ever (still is too). I use either this or the Ultra matte when I feel the urgent need to apply powder all over my face - which isn't very often. It also works really well for setting the under-eye too so you bet I'm on the hunt for a replacement since I'm fast running out of the light - which is what I use personally. 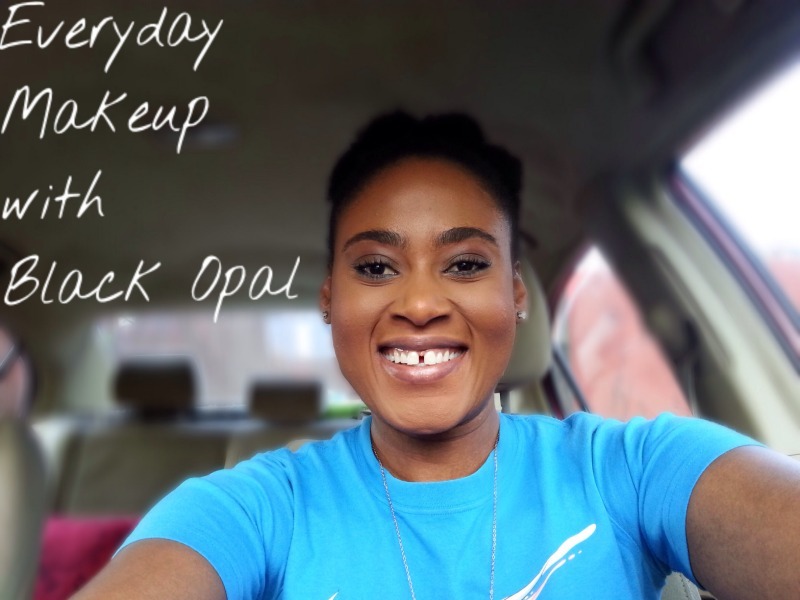 I really love having Black Opal as part of my everyday makeup routine. It simplifies the process and doesn't make it as tedious as it used to be for me. Now I wear makeup more often because in 5 minutes I can 'wear my face' and be ready for the day.